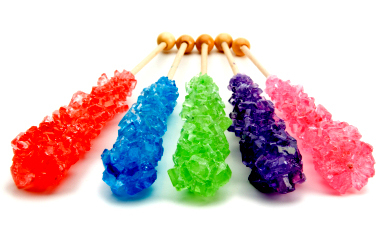 Rock Candy Recipe, fun to watch and even more fun to eat! Below are two ways to create crystal candy! 7. Clamp the clothespin on the skewer horizontal, so it lays on top of the jar to balance the skewer.